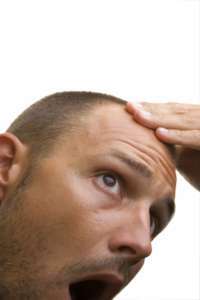 When a young professional with hair loss came Dr. E Ronald Finger at Hair Restoration Savannah he was distraught. He was starting to lose hair on his crown and he had a receding hairline. He had told us that his hair was so important to his self-esteem, and he wanted it back, and he wanted his hair back quickly. At Hair Restoration Savannah we can aid in people who want to regrow hair at any age. We advised him on NeoGraft for Hair Restoration, and included Platelet Rich Plasma Therapy (PRP) to speed up the healing process. Hair Restoration Savannah saw amazing results with him, and with PRP we see faster healing periods. Now he is on his journey to complete hair restoration. You can too. Read more about how PRP and NeoGraft Hair Restoration can greatly increase your hair restoration success. NeoGraft is a state-of-the-art solution for hair loss. NeoGraft uses FUE Follicular Unit Extraction. The NeoGraft device is able to harvest groups of hair follicle from the donor area and then implant the hair follicles to the area that needs growth. This new device is able to remove the follicles more precisely than ever, thus avoiding a linear scare that we used to see in the past. Because the donor area and the implantation area is numbed, you are able to take a nap during the procedure. NeoGraft is the first FDA cleared follicular unit harvesting and implantation system that delivers excellent hair transplant results. The NeoGraft system delivers automation of the FUE technique, the most advanced technique in the hair transplant industry. NeoGraft results are superior to previous hair restoration techniques. Not only is there no scarring, and the procedure is also relatively pain free, and takes about a day. What Results Will I See With NeoGraft Hair Restoration? Quick Recovery Time: Minimal downtime, many patients return to normal daily activities after only a few days. How Does PRP Help NeoGraft? In the case above he had Neograft with PRP. He had his crown treated, but noticed that his hair was receding in the front. He told us that he really wanted to have his receding hairline treated, and wanted know when he could have it done? Because there is only one donor site on the back of the head, NeoGraft Hair Restoration can only be treated once a year. When you have PRP prior to NeoGraft, the (the plasma within your own blood) is injected into the crown in order to act like a fertilizer. PRP is blood plasma that has been enriched with your own platelets. The plasma in our own blood has different growth factors that stimulate healing of bone and soft tissue. PRP only works best when you are healthy and have healthy platelets. Many sports athletes have had PRP injected into their joints and other orthopedic surgery in order to speed up the healing process, PRP works. Typically you can only have NeoGraft Hair Restoration performed only once a year. If you are losing your hair, whether you are male or female, NeoGraft for hair restoration is the leading tool for hair restoration. Hair Restoration Savannah is committed to taking you on your hair restoration journey. Contact us today for a free consultation, and you will see how you too can regrow you hair.